I’m sorry that I haven’t put an entry in for a couple off weeks – I have been busy with some other stuff including school, but I’m back now! While surfing the web on one of my favorite sites www.cmlibrary.org, I was looking at this photo taken circa 1950 that is in the collection of the Robinson-Spangler Image Collection of the Charlotte-Mecklenburg Library. This is about five minutes from my house and in located in the Fourth Ward area of Uptown Charlotte. The neighborhood has changed a lot since this photo was taken, if you don’t believe me, here is a picture taken this year. I hope that everyone has a great weekend and enjoy the great fall weather! Okay, I wasn’t alive in September 1963 (but would be born the following February) when events in Birmingham, Alabama, Washington, DC and Charlotte occurred. But they have made a great impact on my life and the lives of everyone that I know. I have spent this weekend at our first (of many I hope!) Prince Hall celebration weekend. For those of you that are not familiar with Freemasonry let me give you a little history. Prince Hall, who was a free “Man of Color” along with 14 other men petitioned the Grand Lodge of England for a charter so that they could become a ” “regular Lodge of Free and Accepted Masons”. From those men, who chartered as African Lodge # 1 (later changing to African Lodge # 457). In North Carolina, Prince Hall Masonry got started in 1865 with the establishment of King Solomon Lodge # 1 in New Bern, North Carolina under the guidance of the New York State Grand Lodge. Paul Drayton Lodge # 7 here in Charlotte was the first Lodge established in this area and chartered September 19, 1872. Other Lodges in the Charlotte area soon followed and according to James Harrell, who wrote the history of the old 19th and 20th Masonic District which is now split into the 32nd and 33rd Masonic Districts, grew and prospered. Sunday, September 15 in Birmingham, Alabama. 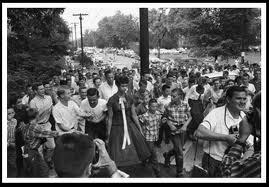 African-Americans were still rejoicing in the spirit of the March on Washington which had occurred just three weeks before while segregationists were reiterating that they would not change and would do anything to maintain the status quo. At the Sixteenth Street Baptist Church, which had been used as a rally point for civil rights protests in Birmingham (which had the unofficial nickname of “Bombingham”) it was just a typical Sunday morning, which was about to change. At 10:22 AM, while people were getting ready for the 11:00 AM service sticks of dynamite planted by members of the KKK exploded and killed four young girls. I cannot begin to image what was going through their parent’s minds when they were frantically searching for their loved ones in the rubble and finding out that your daughter is an innocent victim of someone who is willing to kill to maintain segregation of the races. While there were scuffles during the lunch counter sit-ins at McCrory’s in Uptown Charlotte, the city managed to escape most of the violence that engulfed other Southern cities until November 1965. In the early morning hours of November 22, the houses of Dr. Walker Hawkins, City Councilman Fred Alexander and his brother Kelly Alexander were firebombed. While no one was injured or killed that morning, the city was wakened out of its complacency about its slow and baby steps towards civil rights. Fred Alexander, the first black elected the Charlotte City Council in 1962 and who would later help remove the fence between the white Elmwood Cemetery and the black Pinewood Cemetery was also serving with the reconstituted Mecklenburg Chapter of the NAACP and as Secretary for the North Carolina Prince Hall Grand Lodge. 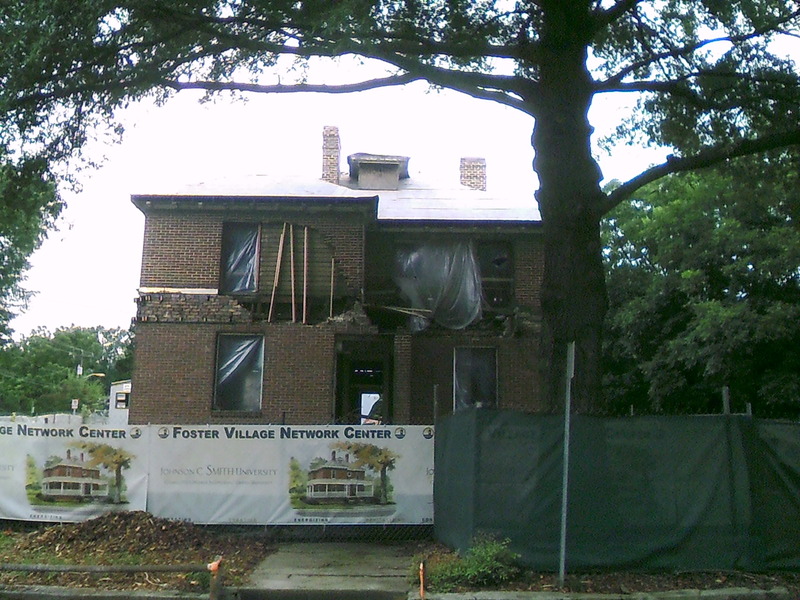 While events such as the 16th Street Baptist Church bombings or the firebombing of Fred Alexander’s house may not seem relevant today, the lessons that we could take is that while people may go to extreme measure to maintain a way of life, other people must make sure that it doesn’t happen again. Yesterday (Saturday, September 7) was the annual game between Johnson C. Smith University and Livingstone College. Now called the Commemorative Classic it brings together two historically black colleges together in football. Started in 1892, this was the first football game between two black colleges and while the story is not that well known to most Charlotteans, it deserves to be told. It was December 1892. Johnson C. Smith University (then known as Biddle College) offered a challenge to Livingstone College, just up the road in Salisbury, North Carolina to play a game of football. Livingstone accepted the challenge and female students from the Industrial Science Department at Livingstone made Livingstone’s uniforms. There are no records that exists about how Biddle obtained their uniforms. It was snowing on the day of the game, December 27, 1892. The teams got together in Salisbury on the front lawn of Livingstone. The game was close despite the weather, with Biddle scoring the only touchdown. After a fumble recovery by Livingstone was ruled out of bounds despite the fact that the snow had obscured the lines and to the spectators, it could not be determined where the lines were, the game ended with Biddle winning the game. There was no newspaper coverage of the game in the Charlotte or the Salisbury newspapers. There is some documentation of the game that has been handed down through the years, but the significance of the game is priceless. It was to help spawn football programs in other black schools, most of them survive to this day. I normally recommend websites and books on a subject if you want to know more, but as there is not a lot of information out there I would encourage you to check out the history of college football and do your own research. You just might find out something that we didn’t know about. Boundary Street – Where did you go? 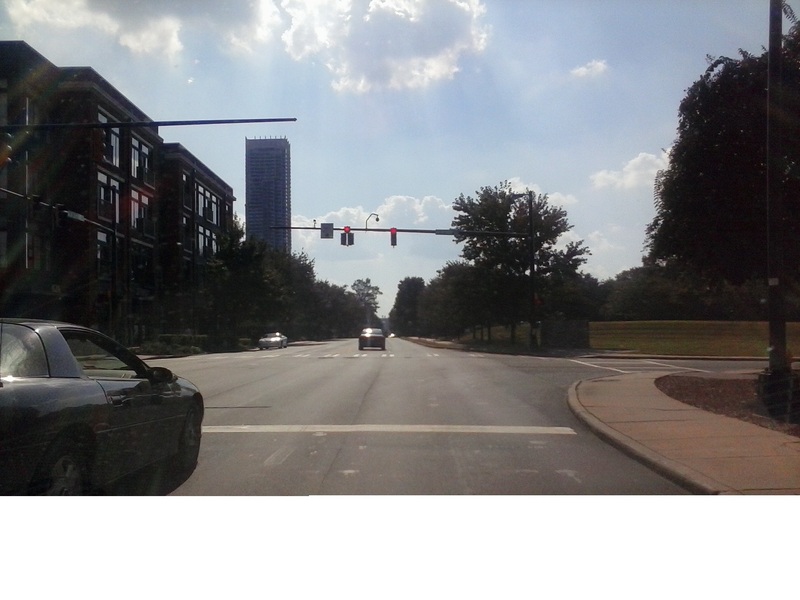 Among the things that Charlotte has lost because of growth are its streets. Some roads have been altered or cut off, others may have had their named changed to honor someone or a community (an example is Thrift Road in West Charlotte which becomes Tuckaseegee Road at the Fifth Street Extension) or erased entirely like Spring Alley, or the Fourth Street Alley. Today, I will be talking about Boundary Street which was erased from the map when the John Belk Freeway (also known as I-277 or the Uptown Loop) was created. Located south of Stonewall Street, it was the southern boundary for the Brooklyn neighborhood which was also called the Second Ward or Log town. Bordering on what would be the neighborhoods of Myers Park and Dilworth, it seemed logical that most of its residents worked “in service” to the white families in those neighborhoods. But, with progress comes change. 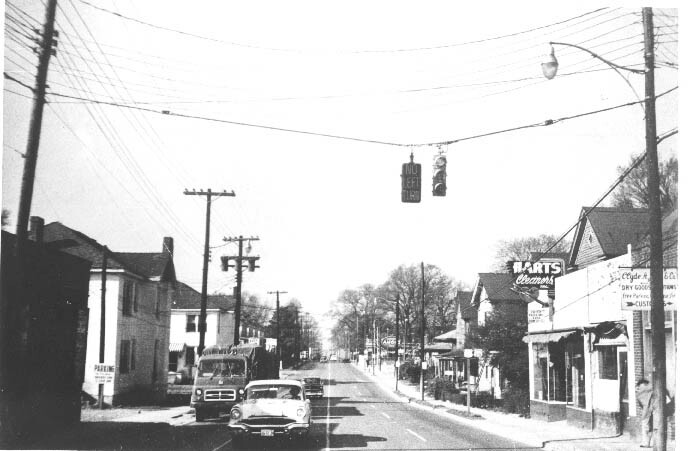 The growth in automobile travel and Charlotte’s population along with the Urban Renewal projects of the 1960’s and 1970’s spelled doom for the street and its residents. Today, nothing remains of this street and a lot of other streets in the old Brooklyn neighborhood but the memories are still there. Plum Thickets and Field Daisies by Rose Leary Love. This is a memoir of Ms. Love, who grew up in the neighborhood and later became a teacher at Biddleville Elementary School. Historic Charlotte: An Illustrated History of Charlotte and Mecklenburg County by Dan Morrill. This cemetery, located at the end of Hildebrand Street off Beatties Ford Road near University Park Elementary School is an old African American Graveyard that has been neglected and allowed to fall into disrepair. According to the PLCMC Cemetery Database, there are records of approximately 73 burials but these records are not complete due to information being lost, funeral homes changing names, merging or going out of business. 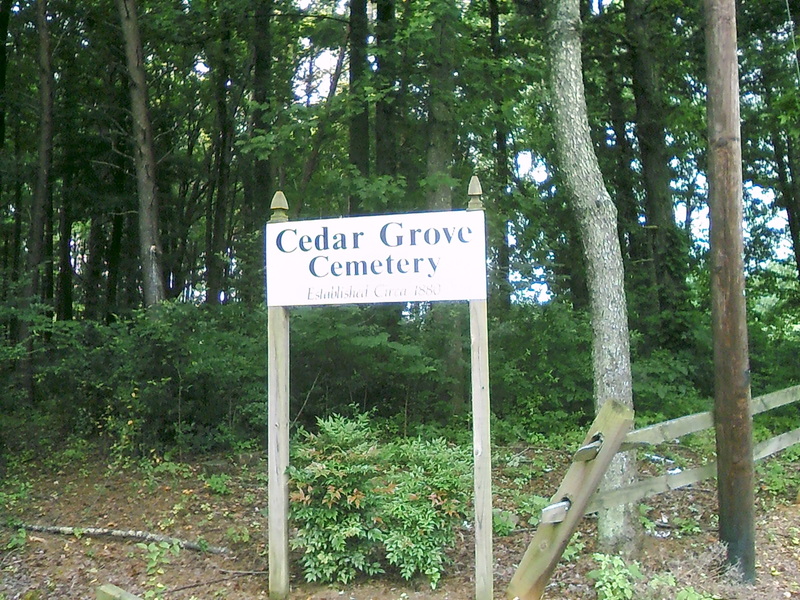 According to the Mecklenburg County Tax Database, the current owners of the cemetery is the Cedar Grove Cemetery Association. 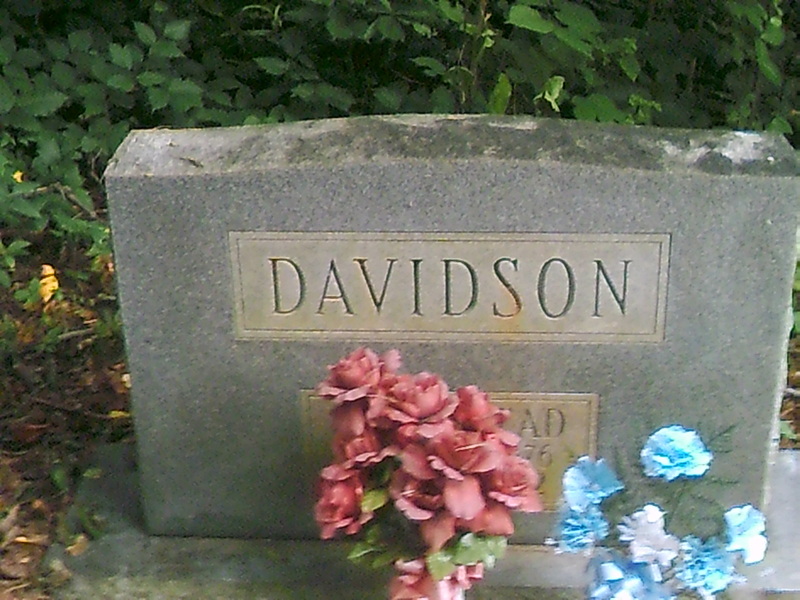 J. S. Davidson Headstone. Picture taken by author. 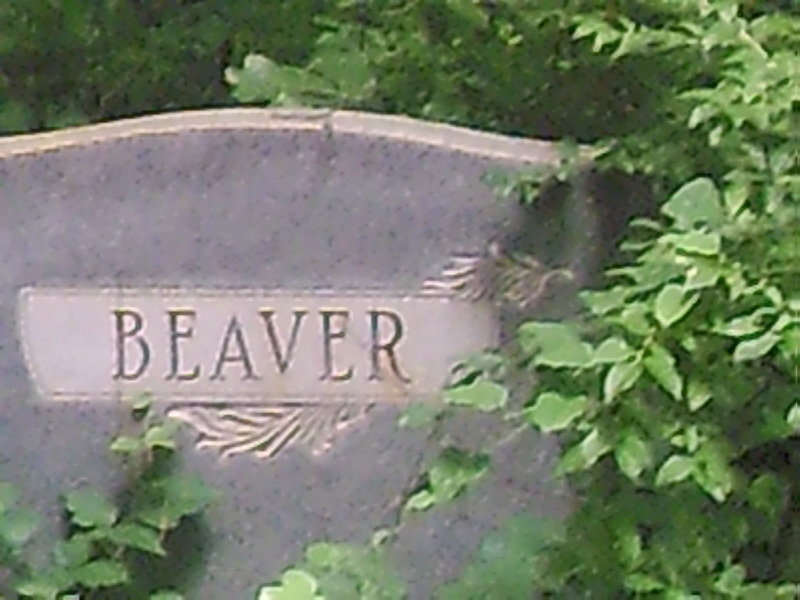 The cemetery is overgrown with weeds and other plant life. It is a shame that this cemetery has been neglected, but with families dying out and moving out of town and the scarcity of records it has been hard to maintain the grounds. But all is not lost. There are some people, led by Ken Koontz, a former Public Affairs Director at WBTV (Channel 3) who are trying to save the cemetery and make sure that people don’t forget that this cemetery is still in existence. If you know of a family member who may be buried at Cedar Grove or you would like to help in saving and preserving a part of West Charlotte history, please let me know. You won’t believe what used to be in this building! 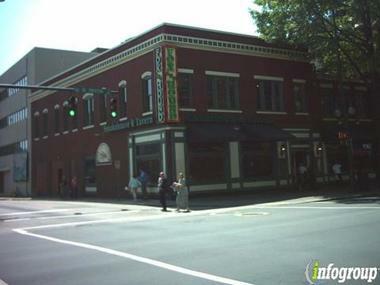 In Center City Charlotte at the corner of North Tryon and Seventh Streets is a building that currently houses the Fox and Hound Restaurant. Built in 1925 the current owners have tried to maintain that “vintage” feeling while keeping the inside updated for their customers. This is a great example of what a business owner can do to keep a older building in use and not let it fall into neglect or ruin. Over the years while the building has been altered and expanded the building has retained most of its character. 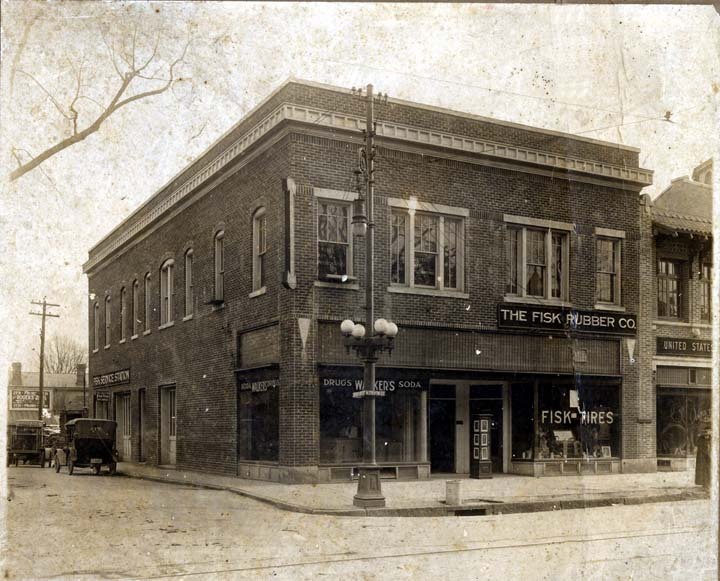 I hope that you will visit the Fox and Hound and take a look inside a building that was not always a restaurant but always a retail establishment. 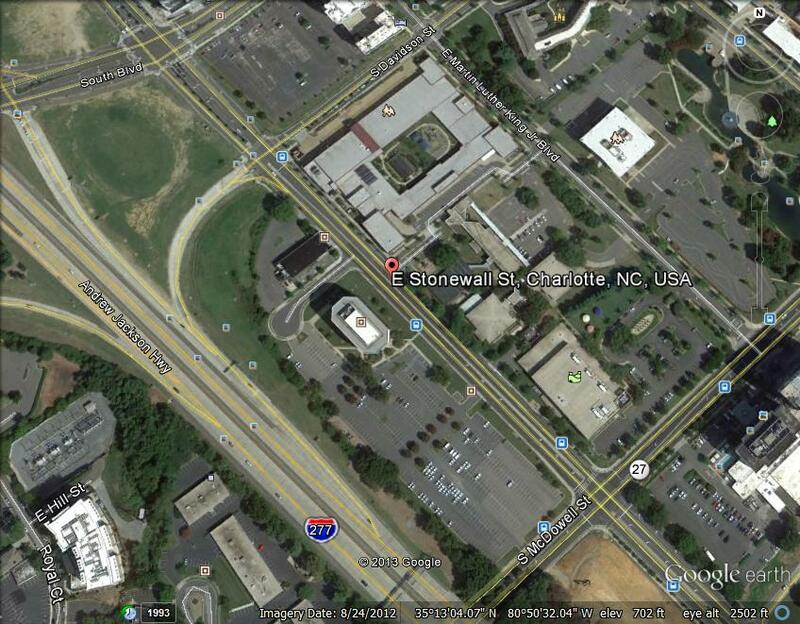 Current Photo of 330 North Tryon was retrieved from Charlotte City Search via Google Images August 12, 2013. 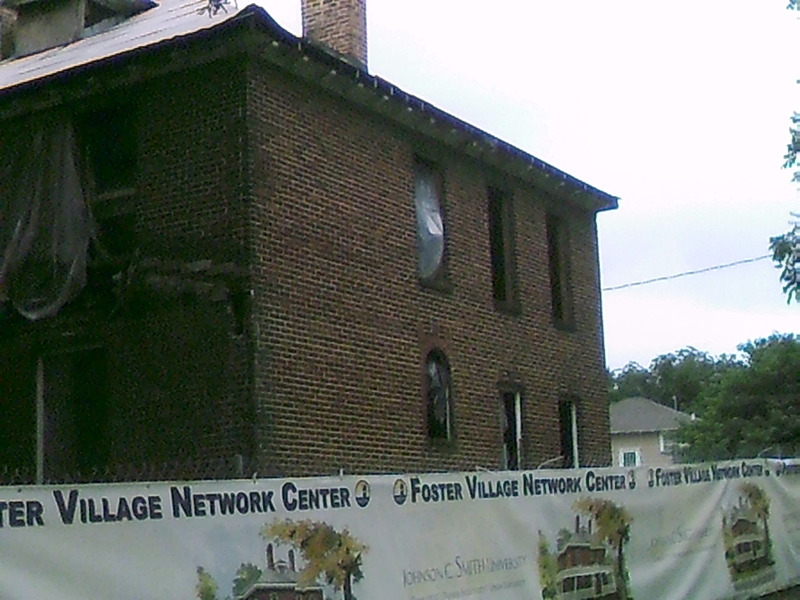 Dr. George Davis’ House – it’s being saved! Side of the house – Photo taken by author. According to the report written by Dr. William Huffman of the Historic Properties Commission; the house was originally built in the 1890’s as a frame structure, additions made in the early 1900’s and the brick added in the 1920’s. 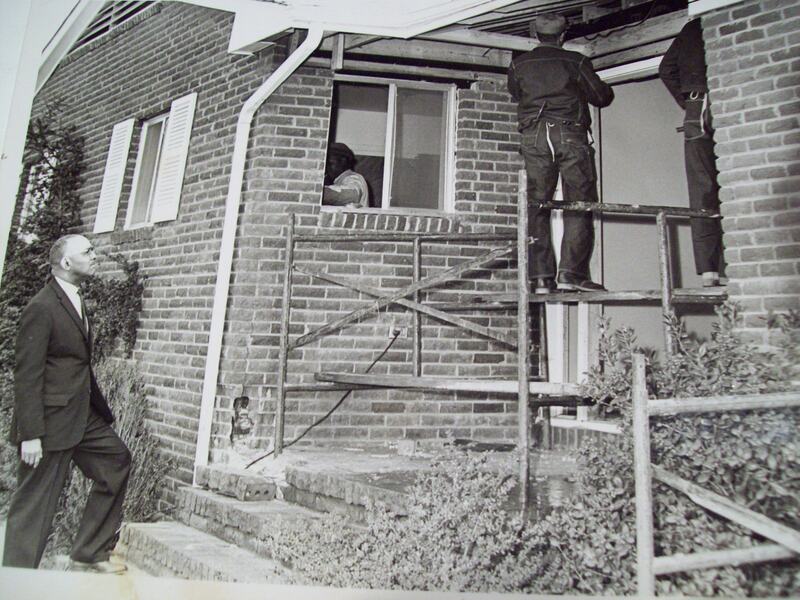 After Dr. Davis’ passing in 1955, the house was sold to Johnson C. Smith University, where it served as student housing up until 1982. 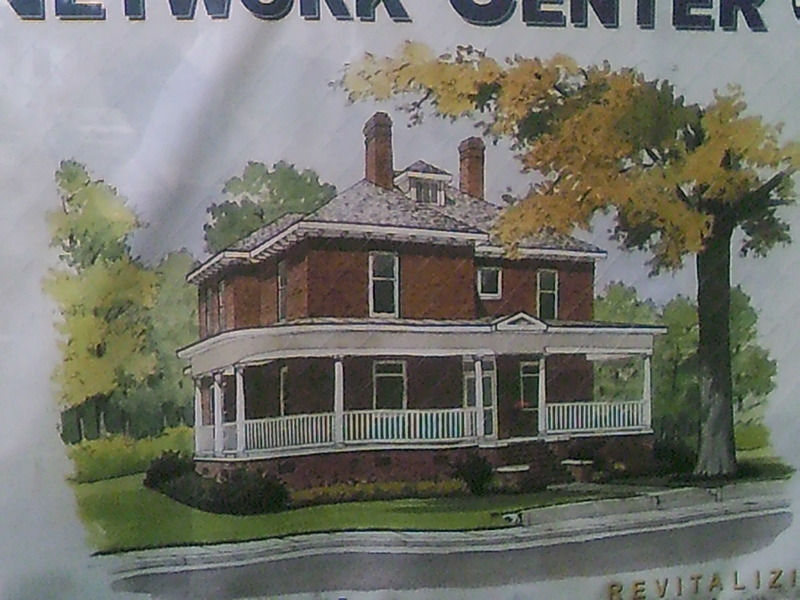 What the house looked like in the early 1920’s when the brick veneer was added. Picture taken by author. I’ll be keeping up with the progress and write about it in another entry. Breaking news, original content covering U.S. news, politics, entertainment, sports, world news, technology, health, science, movie and TV reviews, opinion, religion and blogs. mcgarnagle.com — Where nothing can possibly go wrong.